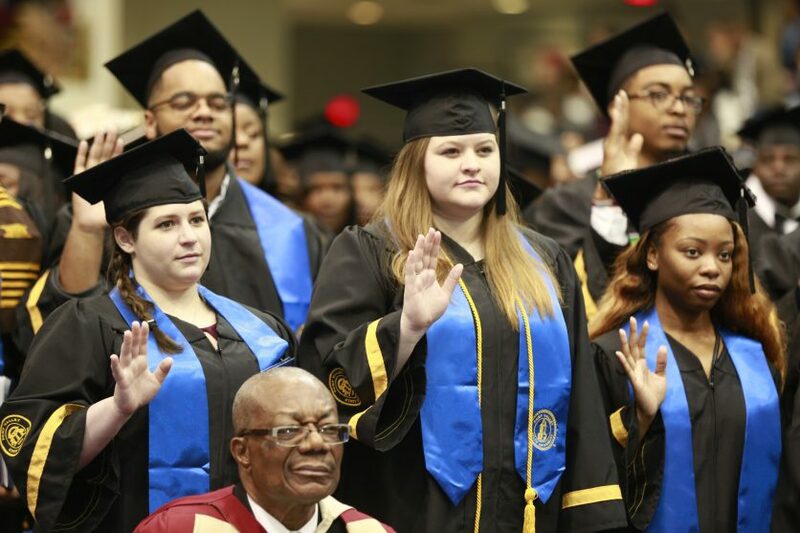 The Office of Recruitment and Admissions processes and admits academically qualified students using enrollment requirements set forth by the university. Whether you’re enrolling in college for the first time or transferring from another college, we can help guide you toward your goals. Step 1: Confirm your enrollment. Complete an Intent to Enroll form. Step 2: Register for your classes. Contact the FVSU Academic Advising Center, in person, in the Lyons Student Center, by phone at 478-822-1325 or 478-825-1315 or by e-mail at powellj@fvsu.edu to register for your classes. Step 3: Activate your myFVSU account. Activate your MyFVSU account by clicking BannerWeb. Step 4: Register for Orientation. Step 5: Submit your campus housing application. Reserve your apartment on campus. Visit https://www.fvsu.edu/residential-life to download the application and for requirements for living on campus. Print, complete, and mail your housing application and $200 non-refundable housing fee to Residential Life. Call (478) 825-6100 for more information. Step 6: Submit your documents. Submit your lawful presence document (copy of driver’s license, certified copy of birth certificate, etc.) and final transcripts with your graduation dates to admissions@fvsu.edu or (478) 825-6249. Step 7: Verify your financial status. Visit https://www.fvsu.edu/banner-web-instructions to check your financial aid status. You can also reach the Office of Financial Aid Office at 478-825-6363 or financialaid@fvsu.edu. Step 8: Set up your Wildcat email account. If you have questions, please contact our office at (478) 825-6520.